The Central Park South skyline will change dramatically in the years to come. Supertall skyscrapers along the 57th street corridor in Midtown will rise to great heights and reorient eyes upwards. 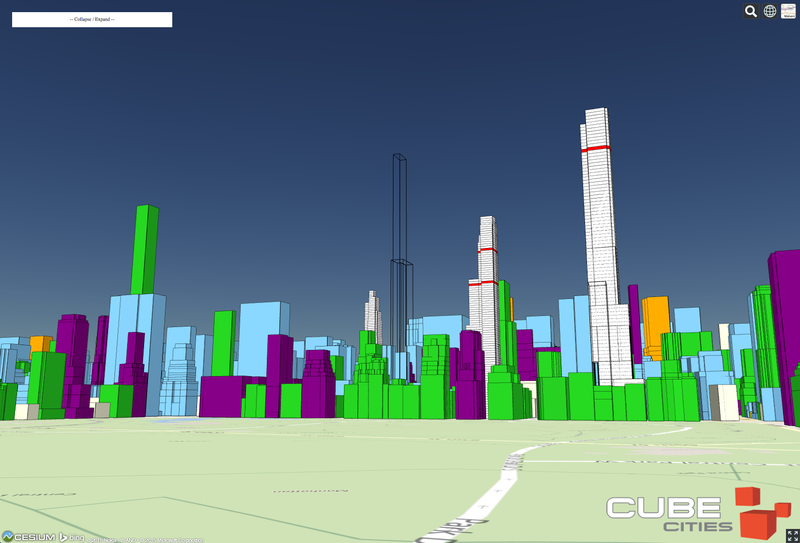 The imagery below shows the view today and the 3D map shows the heights of the buildings now under construction. Here's a quick video of a Cesium-based application that exposes floor level data in the Nordstrom Tower and One57.